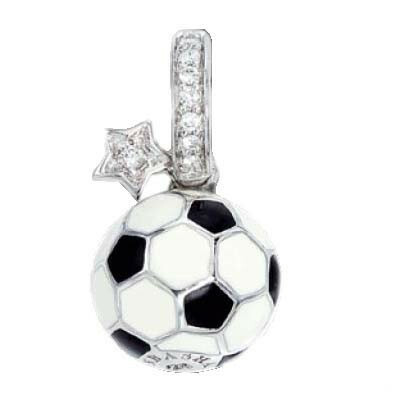 For the soccer star in your life, Aaron Basha has created this engaging soccer ball charm. Black and white enamel is painted onto 18kt white gold to form this sporty piece. Girls will be girls, so delightful white diamonds have been added to the bail that holds the charm onto the chain (sold separately), and a little diamond star is also placed at the top. Her athletic feats are praised with this adorable Aaron Basha charm!